Teenagers and their families live in a society with epidemic levels of social problems that put adolescents at risk for emotional problems. 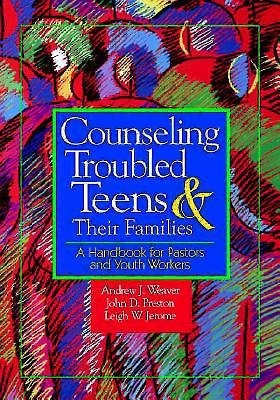 Teens have special mental and emotional issues that need to be addressed by pastors and their colleagues in ministry. For this reason, clergy and caregivers need to know about the most common mental disorders that occur in adolescents, including how to assess and diagnose the disorders, what types of treatment can be initiated in the faith community, when referral is required, and to whom to make a referral. This book identifies twenty-two of the most common mental health conditions that occur among adolescents, provides illustrative cases, lists national resources available to help, and suggests when and from whom to seek additional professional help. There is an emphasis on self-help resources available on the Internet, a major source of information for teens. The conditions addressed include: various types of addiction and abuse; family crises such as pregnancy, runaways, divorce, depression, and bereavement; and other disorders such as eating disorders, ADA, schizophrenia, and learning disabilities.